11th September 2018 / by Stelina W.N. Every restaurant owner is wondering how to make their business grow faster. There are a number of hard and easy ways to success but the most modern and optimal one is to obtain a branded messenger which can become a precious tool on the way to your business success. If you look around you, you will see that every other person is using mobile applications to book hotels or for some online shopping and financial transactions. But restaurants are one of the most searched industry by consumers via mobile apps. A big share of those searches converts into sales pretty fast which makes restaurant owners think about creating their own mobile application for the business. The decision to build a mobile application for the business, in particular for the restaurant business, is beneficial since it helps to boost the sales and build better relationships with the customers. If you have your own application it will help you build loyalty with your customers. This all sounds great but here comes the main question of how to build the app and what kind of app is appropriate for a restaurant business. Of course, not all restaurants can afford to build an app plus they usually don’t have the required skills to write a code, design the app, etc. But that’s not a big issue nowadays. Zangi White label solution gives an opportunity to have your own branded messenger in 10 days at a price that is much reasonable than building an app from scratch. The study shows that before visiting the restaurant, people look for the location, price, and menu. Plus, delivery service is what the majority of busy people need, so make sure you have that feature in the app. All these features and some other features that are required for your restaurant business app can easily be created by Zangi in a short period of time. This way you avoid the risks and save money. 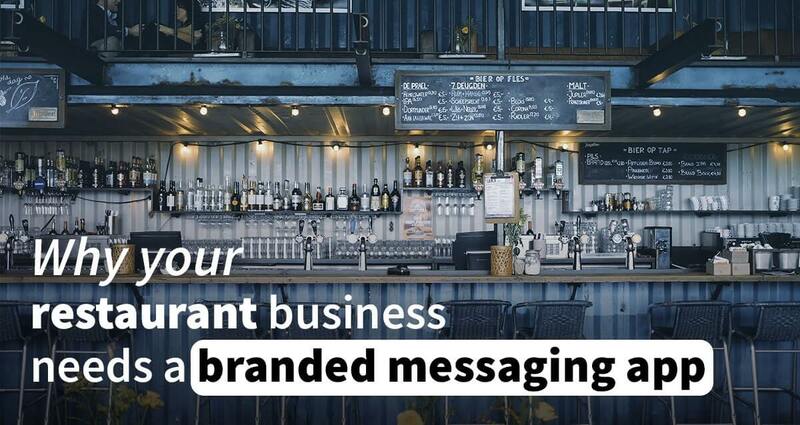 Whether you are an owner of a small local restaurant or you have a chain of restaurants scattered all over the country or even the world, your business will benefit from having a messaging app with your logo and name on it making you a solid restaurant that cares about its customers. Previous readingSecret Chat Apps: Safe Or Scam?